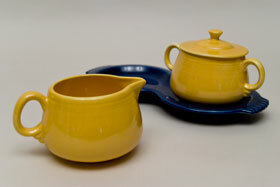 Circa 1940-1943: Produced for a scant 2 1/2 years, the fiesta sugar, cream and tray set is a great find. 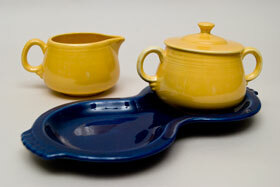 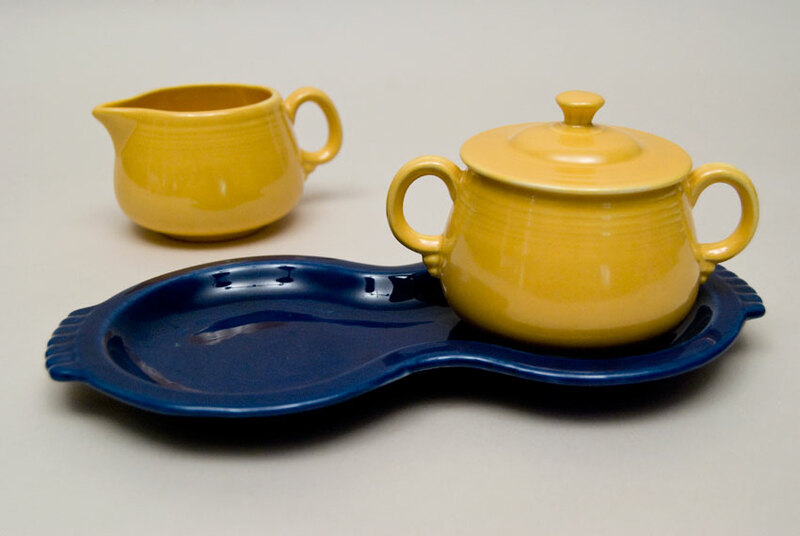 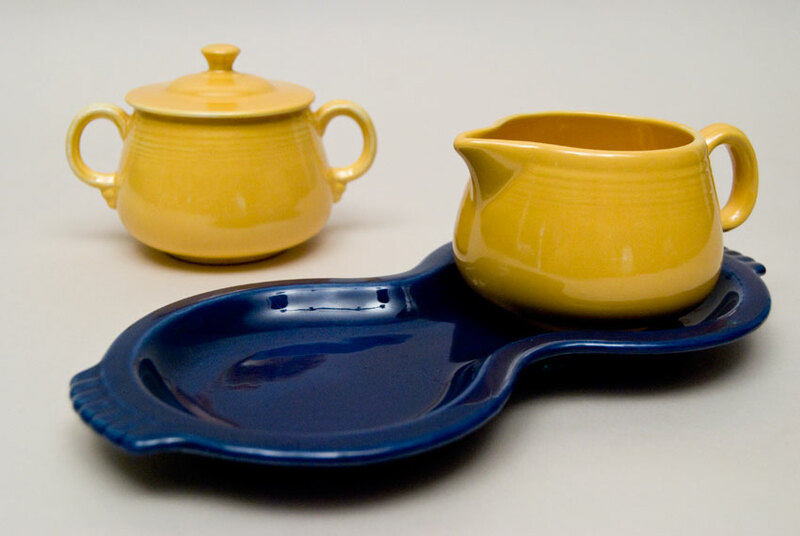 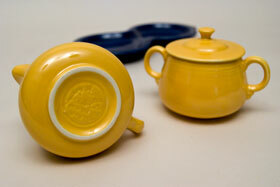 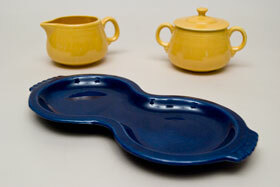 Shown here in the classic cobalt tray with vintage yellow covered sugar and creamer. 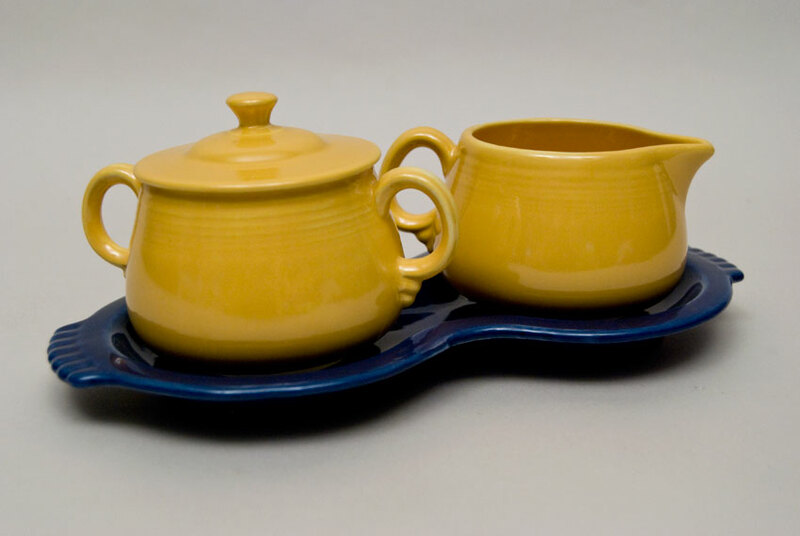 The sugar and creamer figure eight set was one of the last designs by original Fiesta pottery designer Frederick Rhead. All pieces were slip cast with the sugar finial being applied by hand. 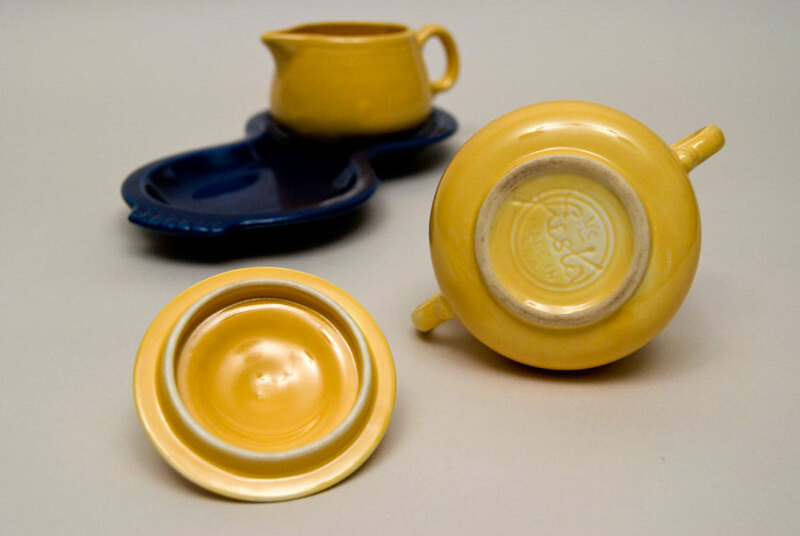 Sugar and Creamer are marked in the mold in the pottery "fiesta MADE IN USA". 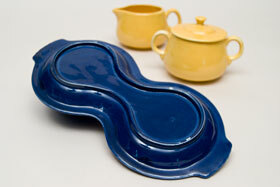 Tray is stamped with quality controllers or makers marks. 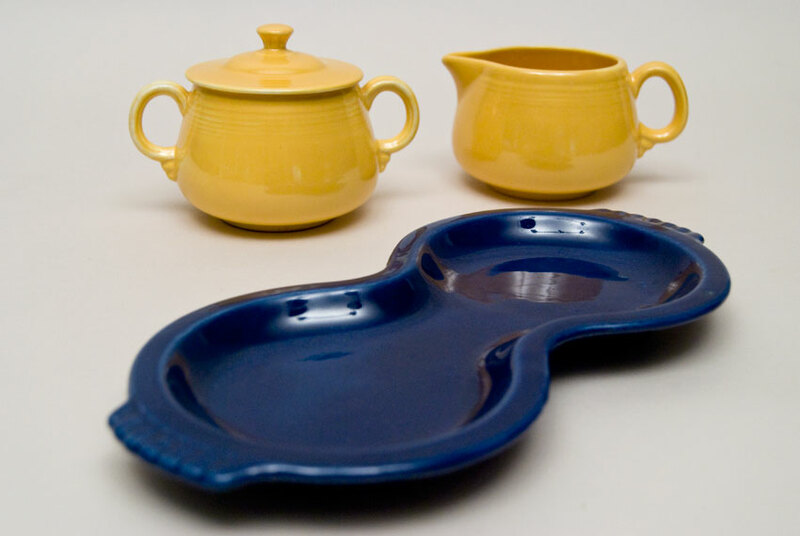 To find a complete set is a great treat and this one boasts wonderful condition, with no damage, very minor/light wear on the cobalt tray,no chips of any size to any of the four pieces.